Josie's Juice: Married At First Sight: Season 3 finale - together? Married At First Sight: Season 3 finale - together? In news which may surprise none (but it did surprise me a tad! 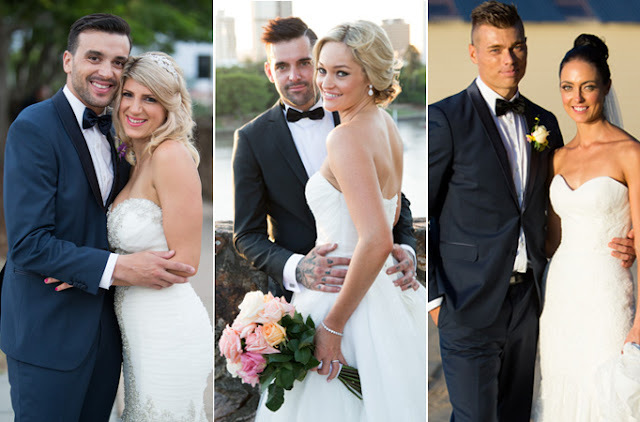 I thought at least on of the couples would stay together), ALL the final three 'Married At First Sight' season three couples have split. If you watched the final ep last night you will have seen that all three couples stayed together... although now... kaput. Want to catch up, or watch the whole thing again? Of course you do! Watch it all HERE. Want more? Read a fab wrap up and exclusive interviews with all the couples here. 'The Bachelor', Nikki: "I am off dating."